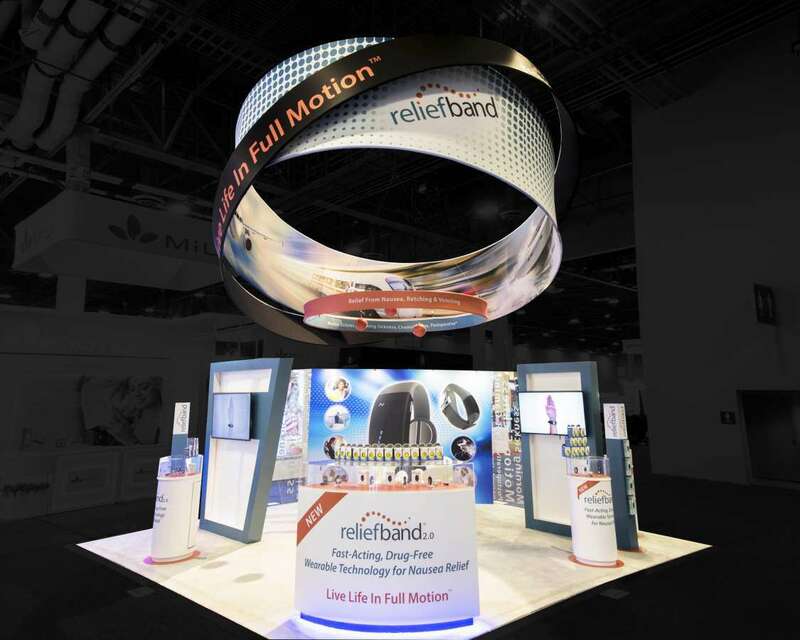 award-winning trade show booths, experiences that unite brand and customer. Don’t you just hate when trade show booth rental companies promise one thing and deliver something totally different? So do we. It’s the reason we founded Exponents, a full-service trade show booth design and build company. Renting and designing your trade show booth should be an exciting time, not a stressful one. That’s why our mission at Exponents is to take the headache out of trade show booth rentals. For us, expos and B2B are a way of life! By handling every single aspect of booth design, from setup, show admin, and delivery to takedown and storage, our team ensures that your experience is smooth, simple, and inspiring. 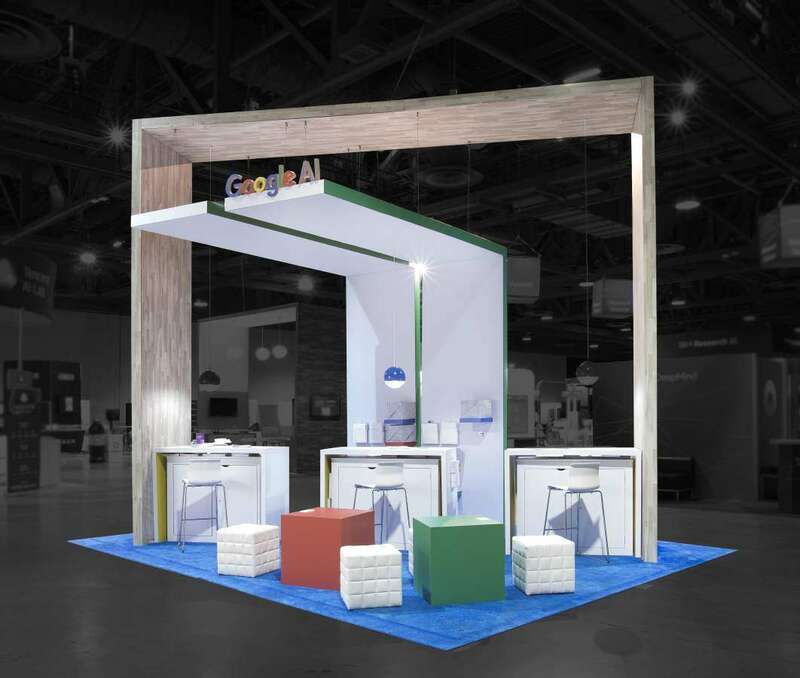 We’ve even made trade show booth design selection easier with our innovative Booth Finder, which allows clients to choose from pre-designed trade show booths, which helps clients find the right fit for their own needs, whether that’s based on show location, budget, or industry. We know every brand and every budget is different, and we make it a priority to always keep our clients “in the know.” With Exponents, we work with your budget and are open and transparent with our prices. There are never hidden fees, so when you make your choice, you know that the price we quote you is the price you’ll pay. Go ahead and get started. Select your city and find the perfect booth setup, then customize to your heart’s content! 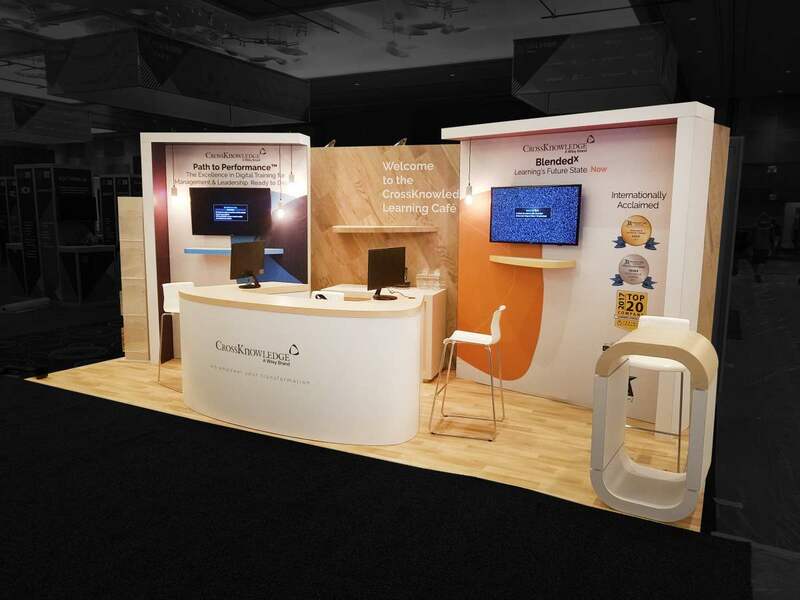 WHY CHOOSE EXPONENTS FOR YOUR NEXT TRADE SHOW BOOTH? 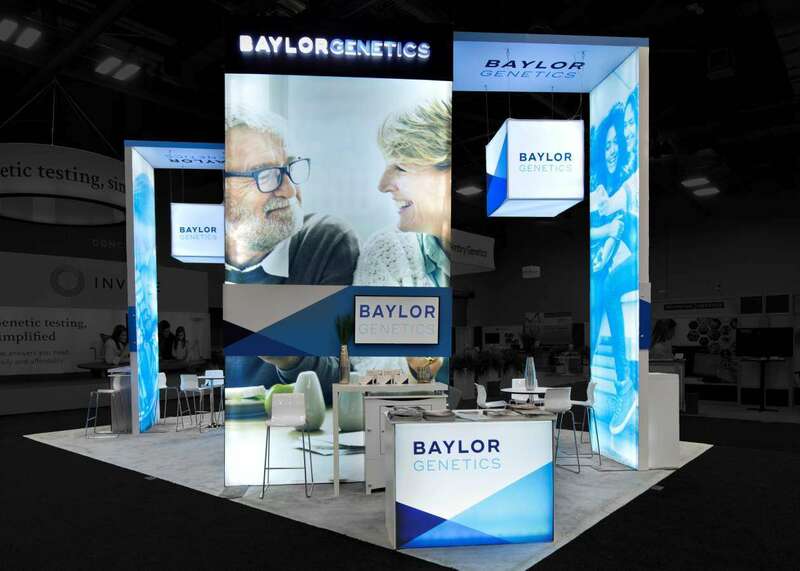 There’s a reason why businesses all over America are choosing Exponents as their trusted trade show booth rental company. 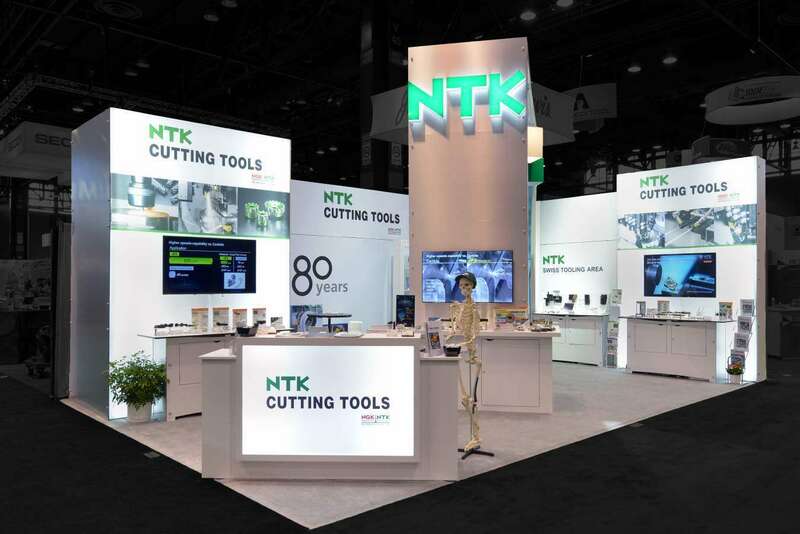 Our dedicated team prides itself on our expertise at both designing award-winning booths and knowing what trade shows entail. Our knowledge of the field enables us to work in a productive and swift manner.And unlike any other company in the U.S., we offer open-ended rental booth prices. This helps us guarantee that we are always able to give you the best value for your investment, a promise which is invaluable to us. Our team is always working to find new techniques to help our clients produce the expo booths of their dreams. With this in mind, we developed our 100% Pre-Build Promise. Our Pre-Build Promise gives our clients the option to pre-test their booth before they take their show on the road. By previewing how the booth will run before the big day, you can make sure that everything functions smoothly on the day of the event, eliminating the possibility of any unpleasant surprises. Ready for the smoothest booth rental experience of your career? Have a look at the Exponents Booth Finder to select a booth for your show’s location and budget. 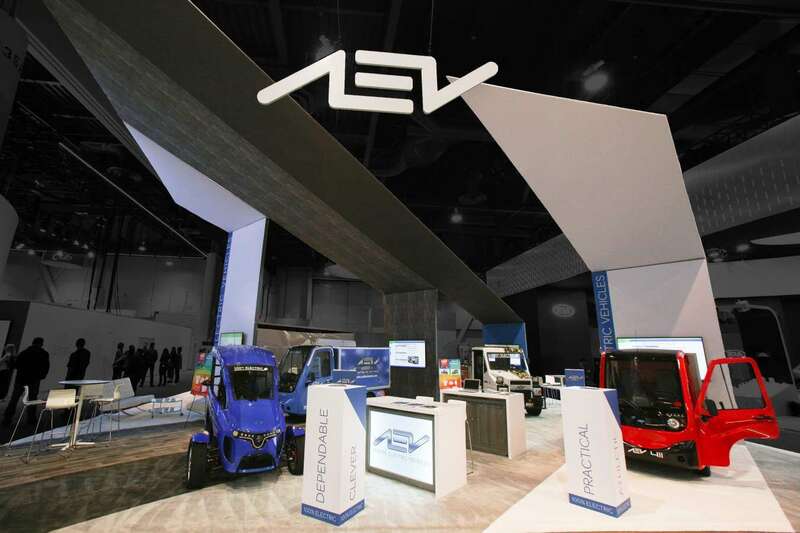 Once you’ve found a booth you like, our fleet of trade show experts will help you customize the design until it’s just right. Every business requires different amenities for their exposition booth, whether that means budget restrictions, special necessities, or technical elements. Once you brief us on your requirements, we will provide you with an estimated budget – and stick to it. Conversely, you can give us a specific budget to work with, and we will design the best possible rental booth within that budget for you. Either way, we work with you so you can showcase your product the way you envision it. When you work with Exponents, we want your experience to be a great one. For this reason, we give clients the option to pre-test booths and exhibits before they are delivered to for peace of mind! Your event is special, and it deserves undivided attention from your chosen booth rental company. This is why each of our customers are assigned a dedicated project manager who will walk them through every step of the rental process, from creating a realistic timeline to bringing your design to life at the trade show. Every stage of the process is our priority. We understand how crucial this event is for you. While you are busy preparing a brilliant presentation, we’ll take care of the heavy lifting! The Exponents crew offers installation, dismantling, and shipping of your trade show rental booth, so you won’t have to use your hands for anything other than making deals with new customers! There’s a lot more to trade show displays than just design and setup. Each company has its own needs and every trade show has its own set of requirements. We want to give our clients a stress-free experience from the moment they begin their custom trade show booth planning, all the way until post-show booth breakdown. Trade shows require a lot of planning and logistics. Put booth management in our hands, and let the show go on!